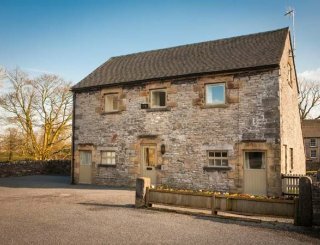 Somersal Cottages, Somersal Herbert, Ashbourne, Derbyshire, sleeps 8-30 in 13 bedrooms. Sofa beds and z-beds are available for extra guests. 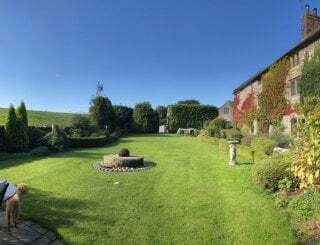 Somersal Cottages are located in the rolling hills of the Derbyshire Dales in the hamlet of Somersal Herbert on a 150 acre farm, just a few miles to Ashbourne, the gateway to the Peak District and its many attractions. Alton Towers, the Potteries and Derby are a short drive away, even closer is Uttoxeter with its famous racecourse. Several footpaths cross the farm giving good access to local walks. 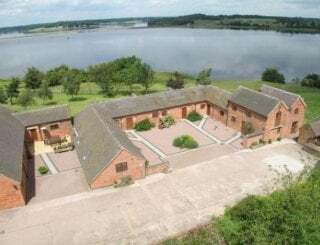 The cottages are just a couple of miles from the A50 which gives excellent access to the M6, M1 and M42, and from all directions. The cottages share a tennis court (bring racquets and balls) and each has either a pool table or snooker table as well. 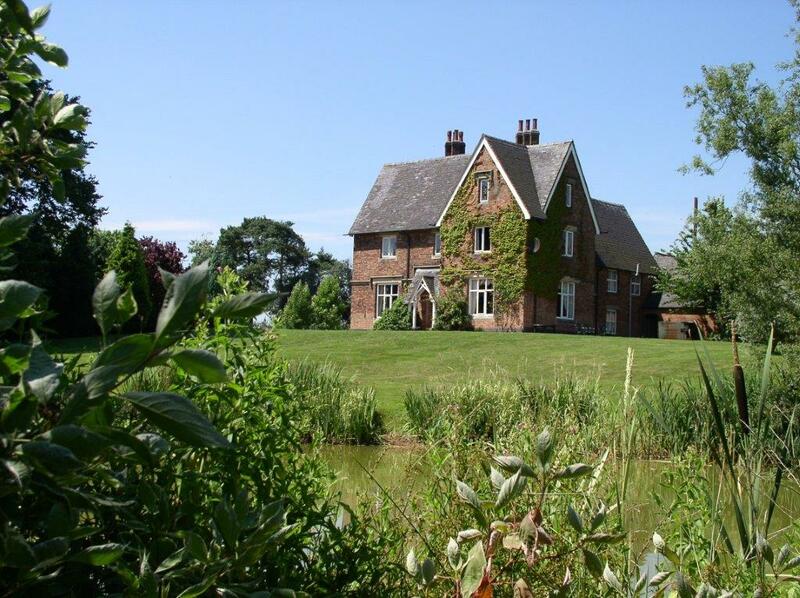 The grounds have a level site for marquees for weddings or parties with excellent views over surrounding countryside. 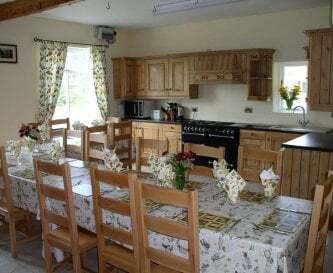 Each has a well equipped kitchen/dining room, with the Forge able to seat 32, and barbecue (bring your own charcoal). 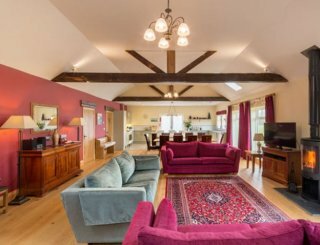 A superb property for larger groups of family or friends, which benefits from having a lower ground floor with a full sized slate snooker table and a games room, complete with a table tennis table. 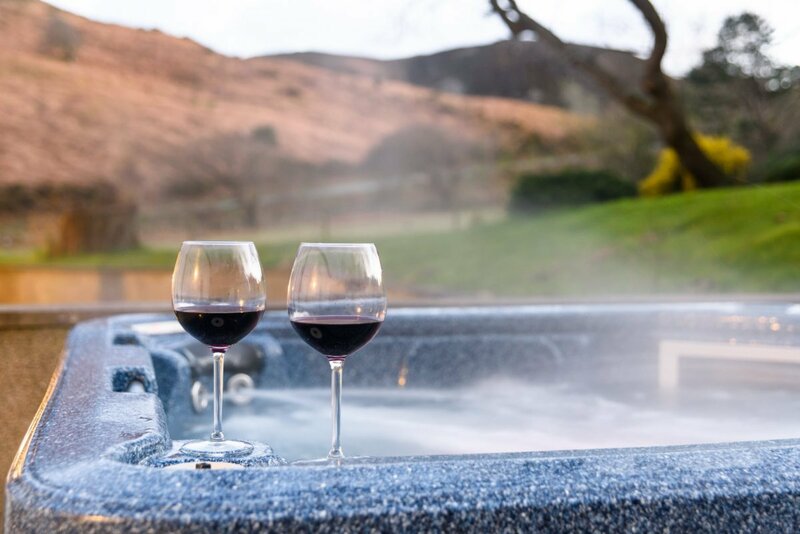 Sleeps up to 20 in 8 bedrooms, with 5 bathrooms, 2 of which are en suite. 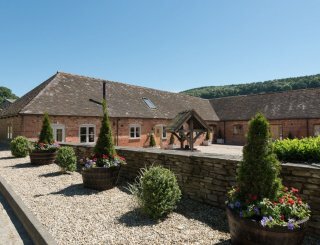 This beautifully converted barn features 7 bedrooms, all en suite, and one suitable for a partially disabled guest. 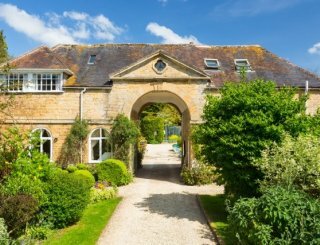 The property has been tastefully converted whilst retaining the original character and features of the barn. Luxury accommodation with 6 spacious bedrooms and 5 bathrooms, 4 en suite, skilfully renovated with period character. Sleeps up to 18. 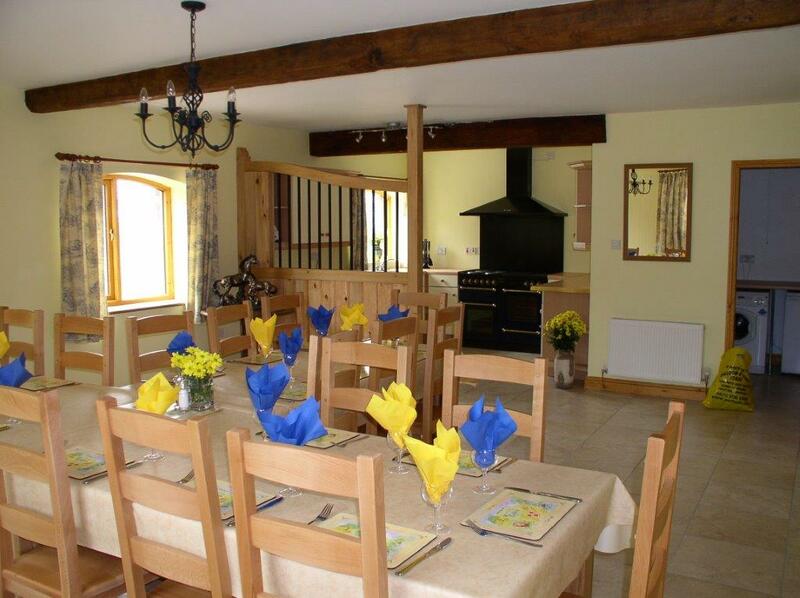 Impressive barn conversion offering spacious accommodation for the larger party. It has 6 bedrooms and 4 bathrooms (3 en suite) and sleeps up to 17. An interconnecting door to the Coach House can be opened to provide accommodation for up to 28. 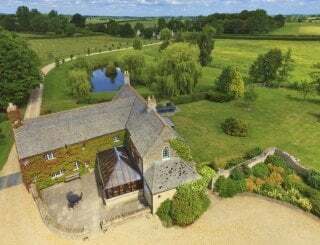 This single story barn conversion has been skilfully renovated to sleep 11 in 4 bedrooms with 3 bathrooms, 2 en suite. It has an internal link to the Granary. 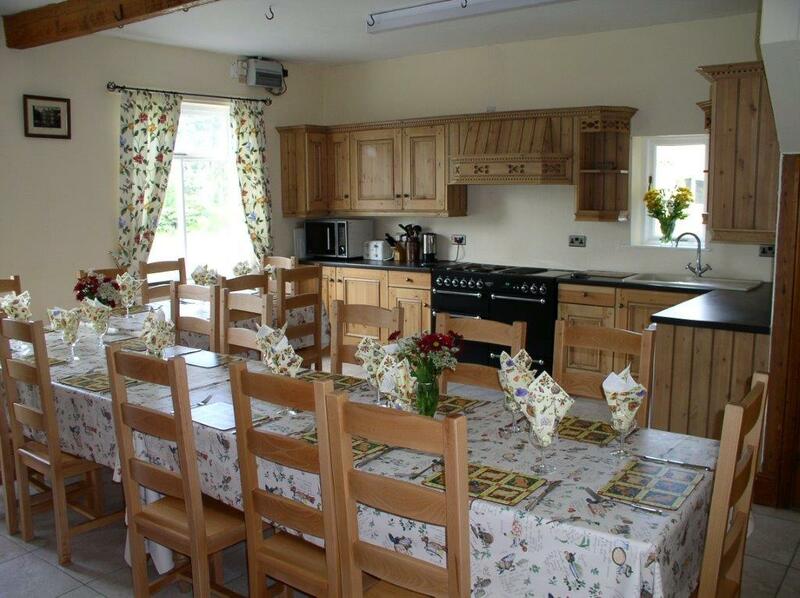 Each property has a well equipped kitchen with an electric range, except the Coach House which has a standard size cooker. All have dishwashers. Each has enough space for the whole of the house to eat together. The dining areas are in the kitchen. The Forge can seat up to 32 if needed. Each sitting room has flat screen TV with DVD and free view box. 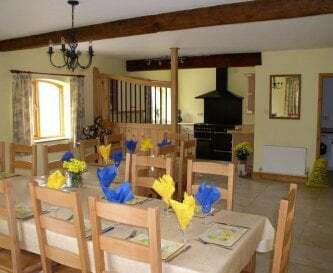 The Farmhouse has two sitting rooms, each seating 10. There are TV, DVD and free view boxes in all of the sitting rooms. Free satellite WiFi which is better than usual for Derbyshire countryside but unfortunately not as fast as fibre since we are so remote. Each property has either a snooker or a pool table. The Farmhouse has a basement (only for Farmhouse guests) with full sized snooker and table tennis. All properties have oil fired central heating boilers. There are open fires in both of the Farmhouse sitting rooms, logs supplied November to March. Each property has a mixture of double, twin and triple bedrooms. 31 rooms and 24 bathrooms in total, 18 of which are en suite. 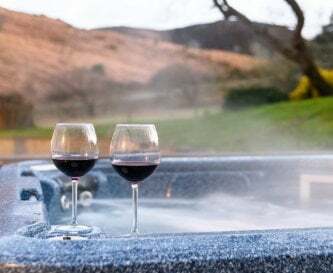 The beds will be made for when you arrive with a bath towel per person provided and bath mats and hand towels in each bathroom and cloakroom. Each property has a mixture of facilities, some with showers, some with baths and some with both. There are 24 bathrooms, 18 of these are en suite. 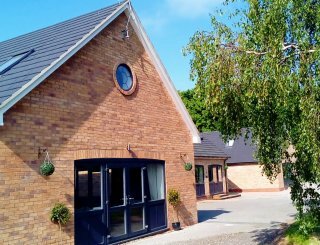 The Forge has a ramp access and a downstairs bedroom with en suite wet room suitable for someone who is partially disabled. There is a high chair and cot or travel cot in each property. The Farmhouse has two cots. Each property has a charcoal BBQ and garden benches and a patio area as well as lawns all around the grounds and tennis court. Also 150 acres to roam. Plenty of off road parking adjacent to each cottage. No smoking inside at all. Smoking allowed in grounds. 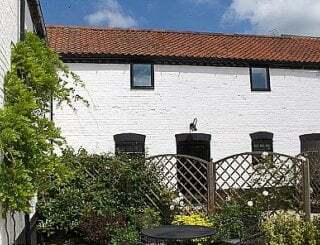 A well behaved dog is accepted in both the Granary and the Coach House. Other three properties do not permit dogs. 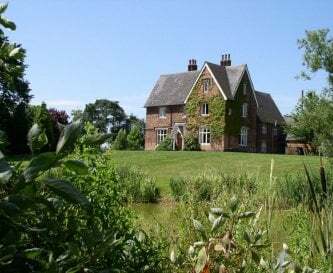 Located at the end of a no through road just a short distance from the church in the small hamlet of Somersal Herbert. 2 miles from the A50. Uttoxeter 5 miles and Ashbourne 7 miles. Village shop in Doveridge and a few shops, cafe, post office and butcher in Sudbury which also has the beautiful National Trust Sudbury Hall. Both villages are 2-3 miles. Each of the 3 surrounding villages has pubs that provide food: the Crown at Marston Montgomery (4 miles), Vernon Arms in Sudbury and Cavendish Arms in Doveridge, both 2-3 miles away. 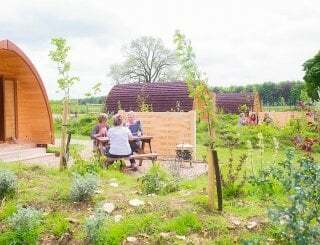 Stays can begin on any week day (Monday to Friday) and are for a minimum of three nights. Entry time is 4 pm, departure time is 10 am. Deposit required is £200 per property with the balance due 10 week prior to the stay. For stag parties a £250 good behaviour bond is required. Uttoxeter (10mins) has a platform stop but taxis will need to be prebooked. Nearest main stations would be Derby or Burton on Trent, both around 30 minutes away. There aren't any buses in the village and as we are so rural there are very few locally. East Midlands airport is approximately 30 minutes away, Birmingham 45 minutes and Manchester an hour.